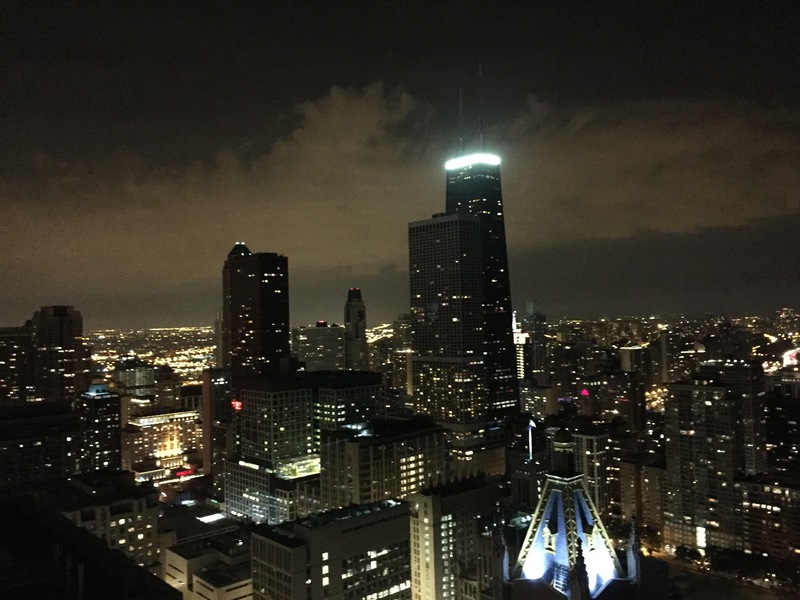 Chicago has been named as the Windy City in the state of Illinois. 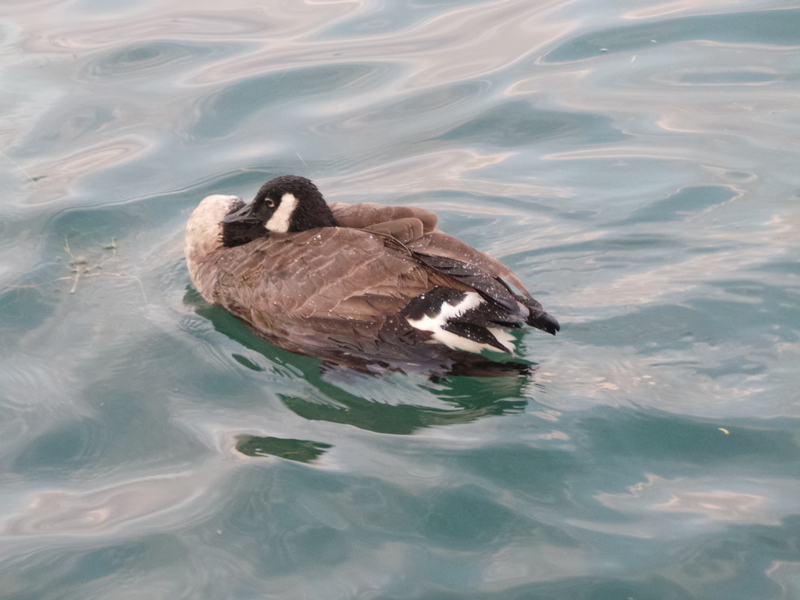 It might be due to its location which is up north and near Lake Michigan. 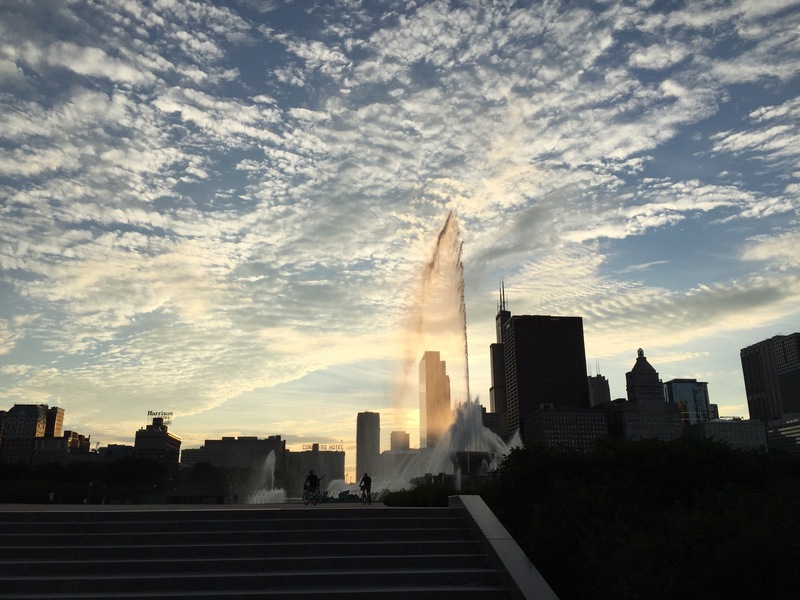 Aside from being a windy city, this city has served an important part of my life. 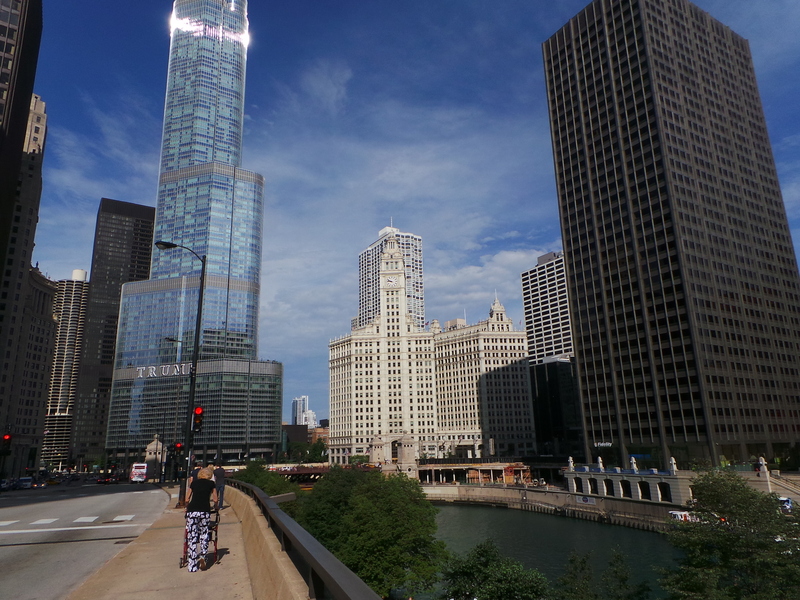 I came in the United States a year ago and Chicago was my port of entry. It was memorable and this city will always give me happiness in my life. 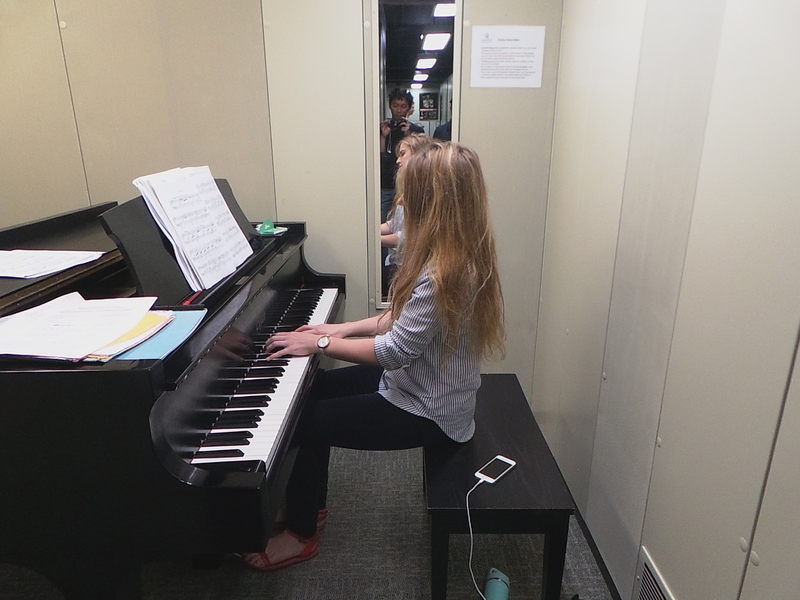 It is considered the door to fulfilling my every dream. 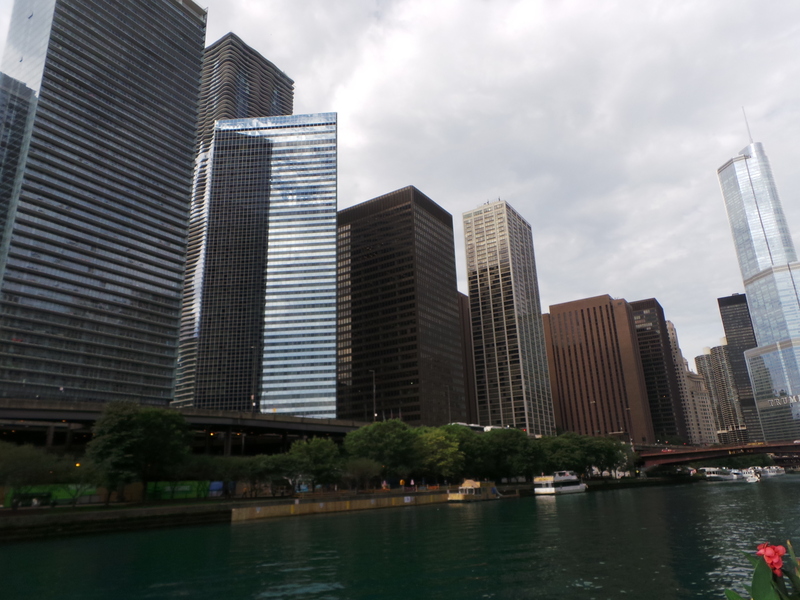 After a year, I have decided to come and see what is within the city since the first time I sat foot in Chicago, I only stayed in the airport at O’Hare International Airport. I traveled from Caldwell, Ohio to Alliance, Ohio since the latter is the only nearest access to the train station. Alliance has an AmTrak station that serves Capitol Limited route. Capitol Limited route runs from Chicago, IL to Washington, D.C passing thru stops in Indiana, Ohio, Pennsylvania and Maryland. It was my second time to ride AmTrak and I chose it because it was convenient and comfortable than riding a bus. The trip also took about almost 8 hours as compared to interstate buses that’ll take 12 hours or more. Anyway, I have arrived in Union Station in Chicago at 0800H. The ride was smooth and I got few hours of sleep. 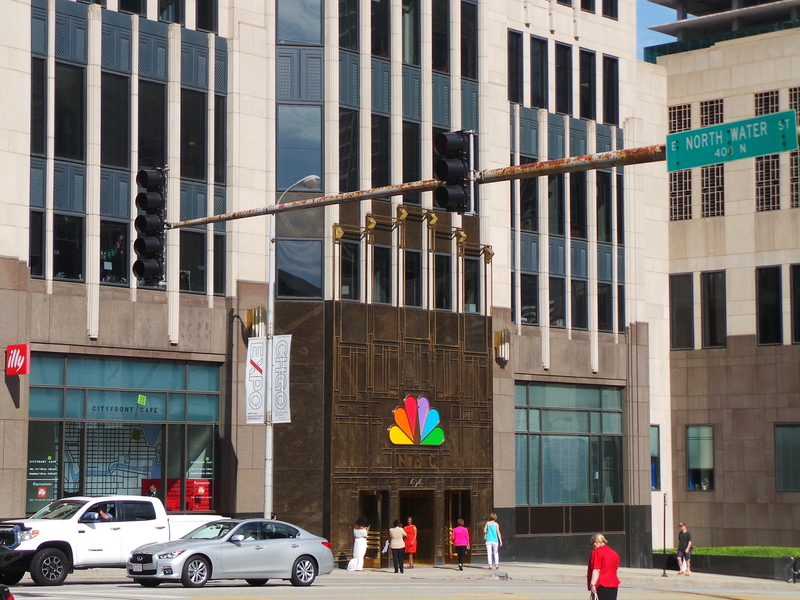 I went out the station to see the streets of Chicago. I was expecting it will be amazing since I’ve been to New York City three times so, I envisioned it to be like the Big Apple. I was not mistaken. Skyscrapers were visible with matching bumper to bumper traffic. But I was still astounded because it’s not everyday I got to see a busy street of the U.S since I live in a small town in a southeastern part of Ohio. I did decided to snap a lot of street pictures. One of the many reasons why I wanted to visit the city again is also to meet a friend whom I’ve known online for over a year. I haven’t met him in person so, we have come up with an idea to finally meet since I got Chicago listed as one of the cities to travel. I met him and his family the next day and I was so glad to finally see them eye to eye. They were hospitable, accommodating and lovely people. They also offered to show me around the city. 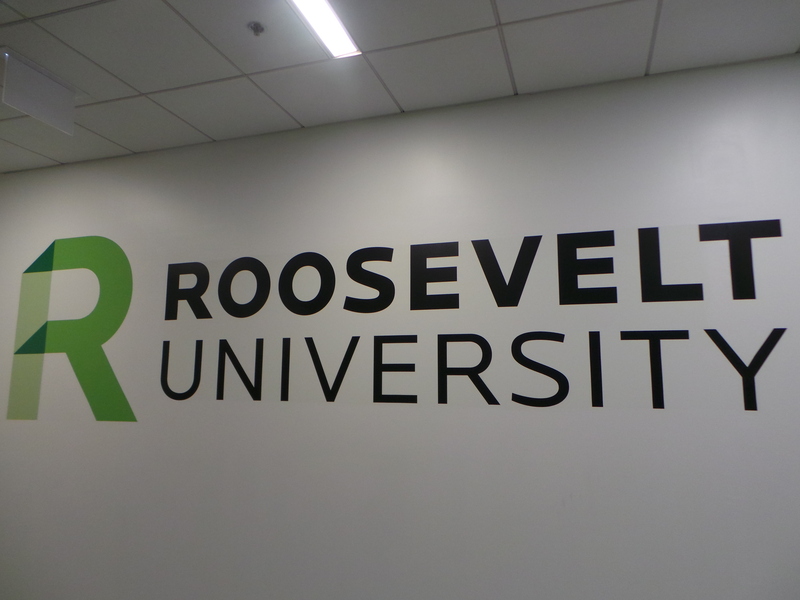 Since my friend is still taking up his Masters course in Roosevelt University, he invited me to tour around the university campus first and meet some of his cool and awesome music lover friends. I got the opportunity to introduce myself and know some of them. After the university tour, we headed out to the street. 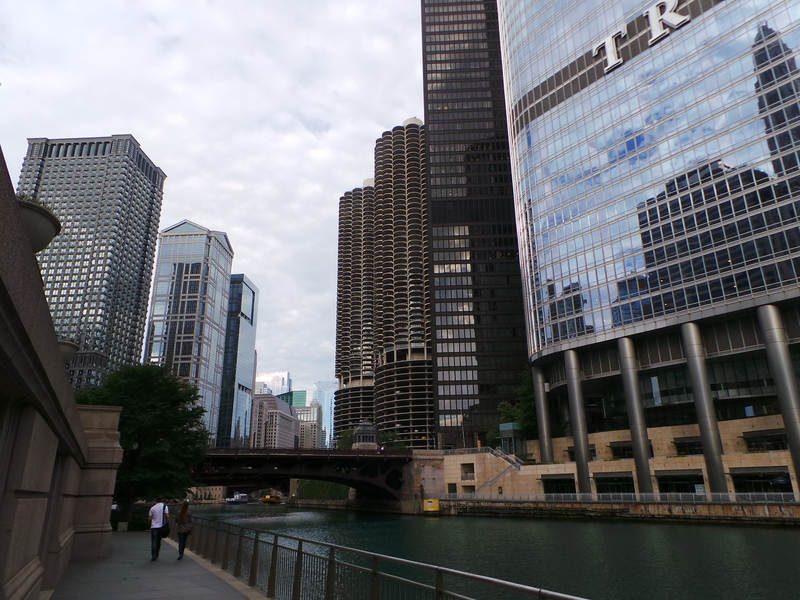 While walking within the busy street of Chicago, never had I known that the city is also famous for its architectures, theaters, music and more. Thus, giving me ideas to explore more locations within the city. 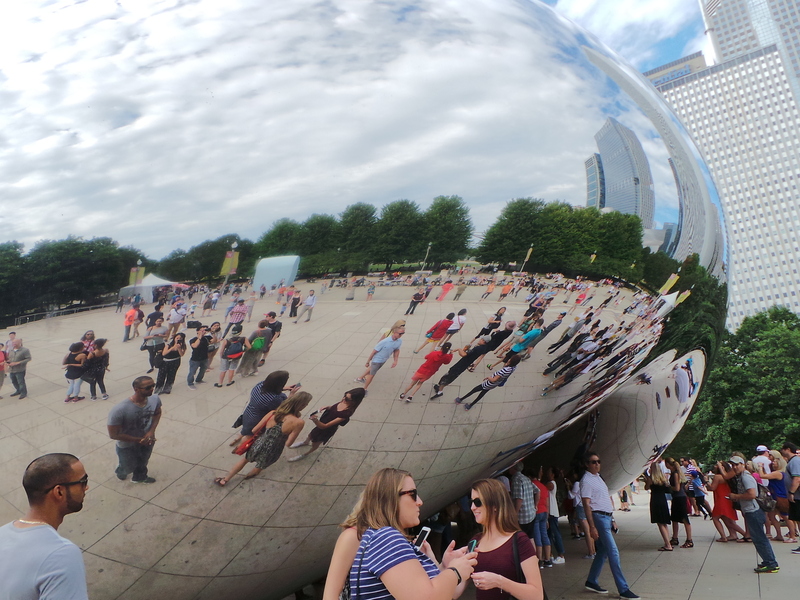 The first stop was the ever famous Cloud Gate or widely known as The Bean. 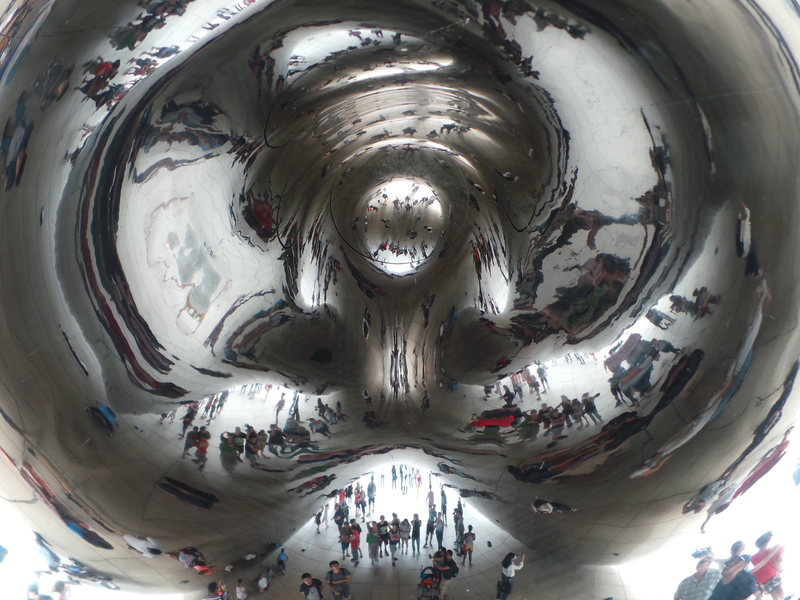 Cloud Gate or The Bean is a public sculpture by artist Anish Kapoor which has been the centerpiece of AT&T Plaza at Millennium Park in the Loop community area of downtown Chicago, Illinois. 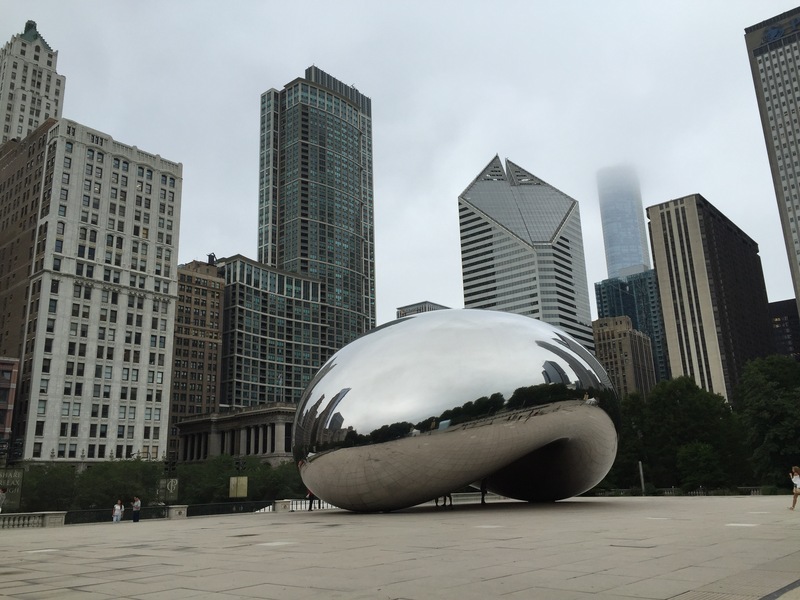 It has been nicknamed The Bean because of its shape. It is made up of 168 stainless steel plates welded together, it is highly polished with no visible seams. 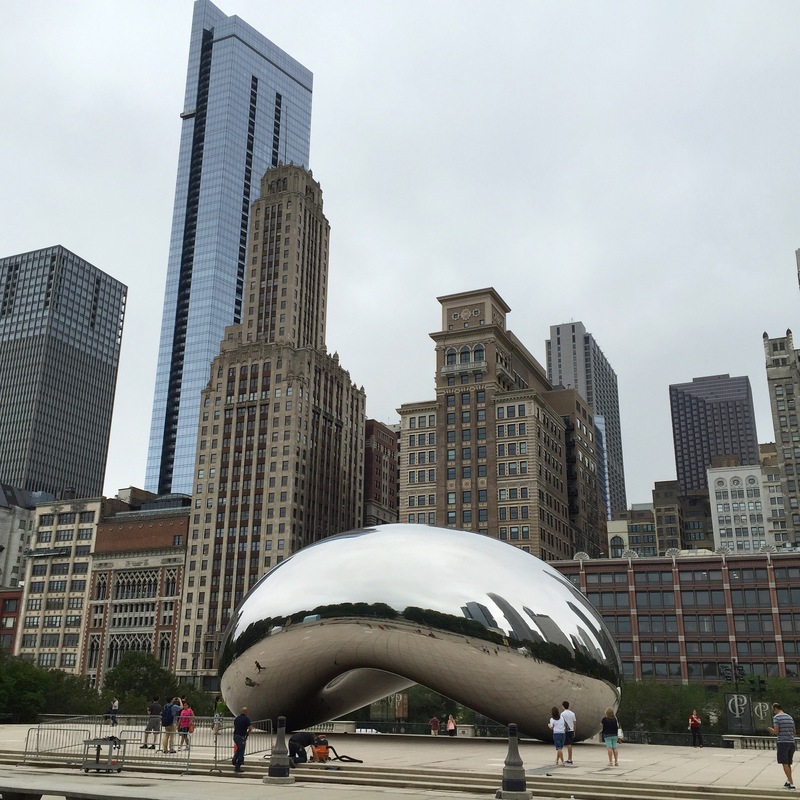 Cloud Gate has gained popularity both domestically and internationally and is one of the most photographed attractions in Chicago. 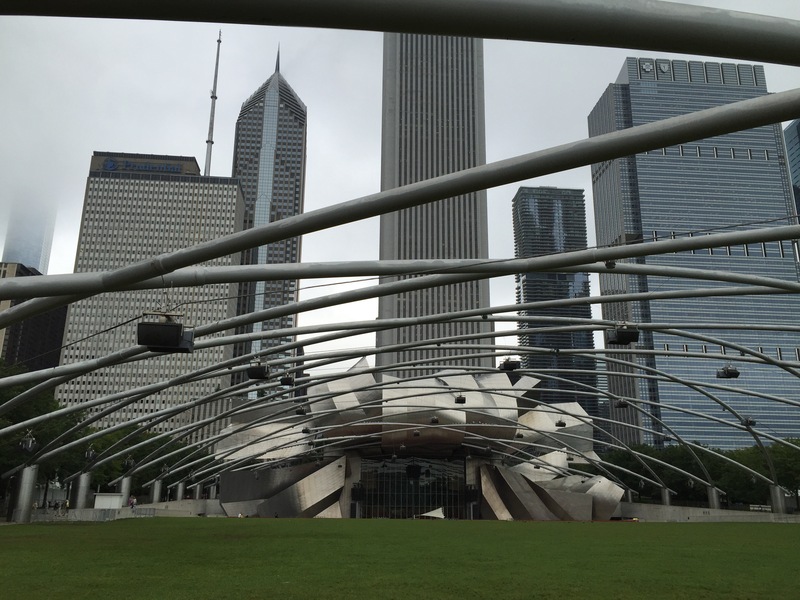 Few walks from the Cloud Gate is the Jay Pritzker Pavilion or the Pritzker Music Pavilion. 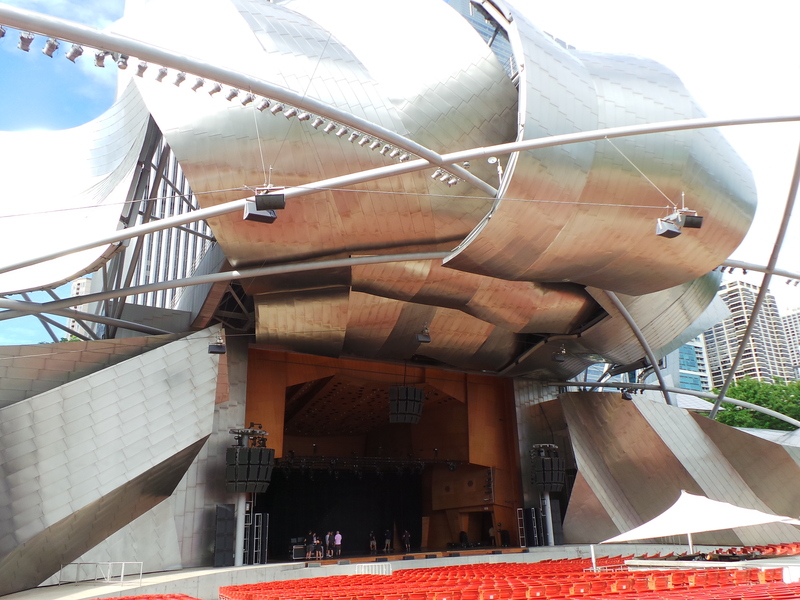 This music pavilion is a bandshell in Millennium Park. 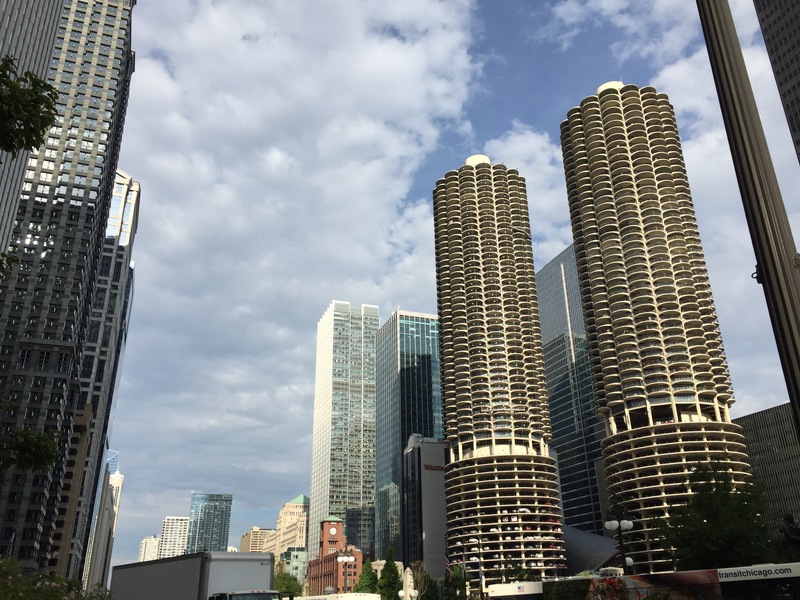 It was named after Jay Pritzker whose family is known for owning the Hyatt Hotels. 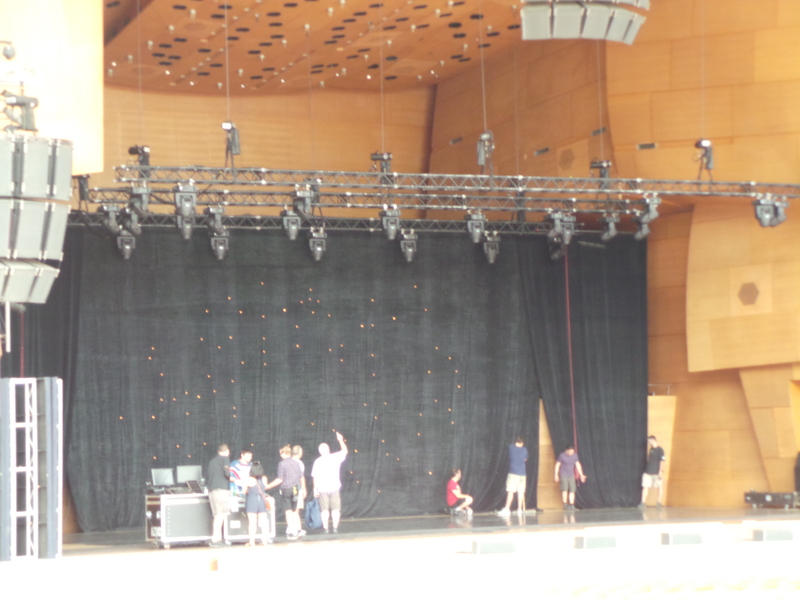 It is the centerpiece of the Millennium Park and is the nation’s only remaining free outdoor classical music series. 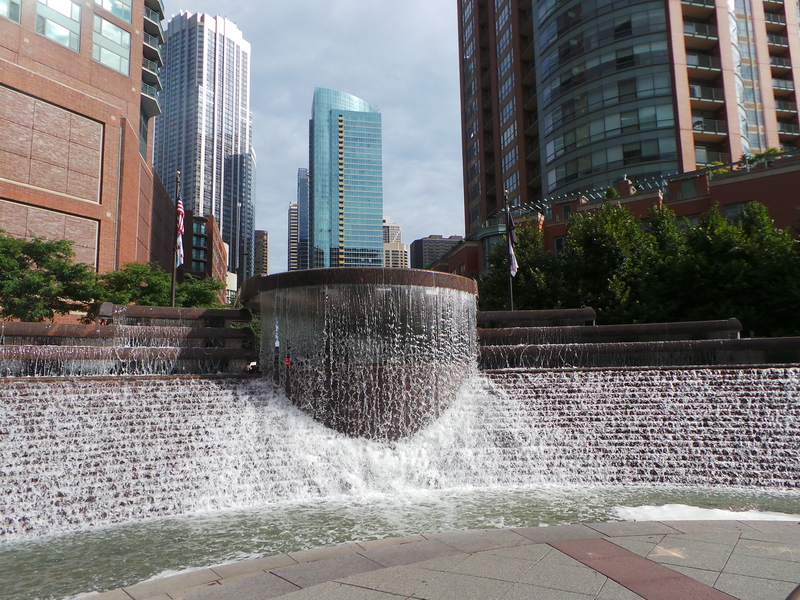 We, then, headed to the Crown Fountain which is just beside the Cloud Gate. 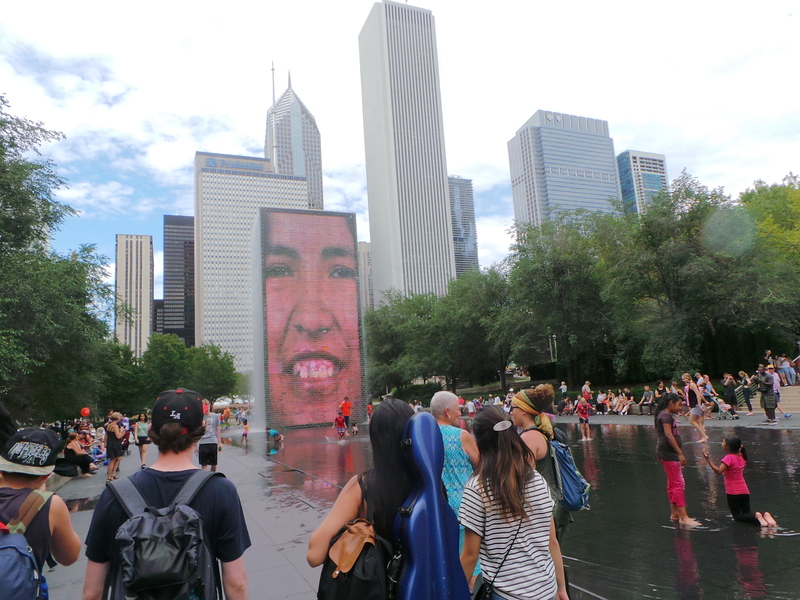 It is interactive work of public art and video sculpture also featured in Millennium Park. 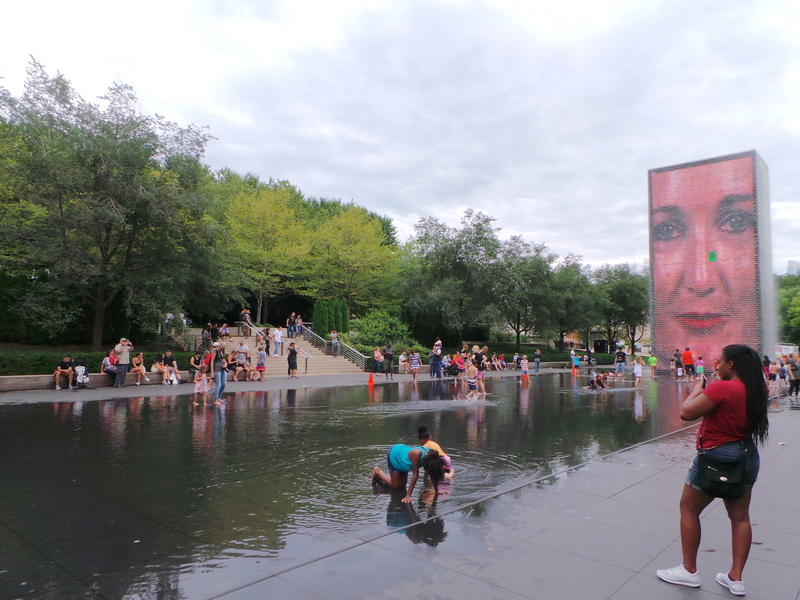 The fountain is composed of black granite reflecting pool placed in a pair of black glass towers. Both towers has LED to display digital videos and spouting through a nozzle on each tower’s front face. We visited most of the tourist attractions in Millennium Park and we have decided to grab a bite before heading to our next destination. My friend suggested to try Lou Malnati’s Pizzeria. Daphne is a sculpture by Dessa Kirk and is found in Congress Triangle Park. It is a Greek mythology figure who was transformed into a plant or tree so the she wouldn’t be captured. 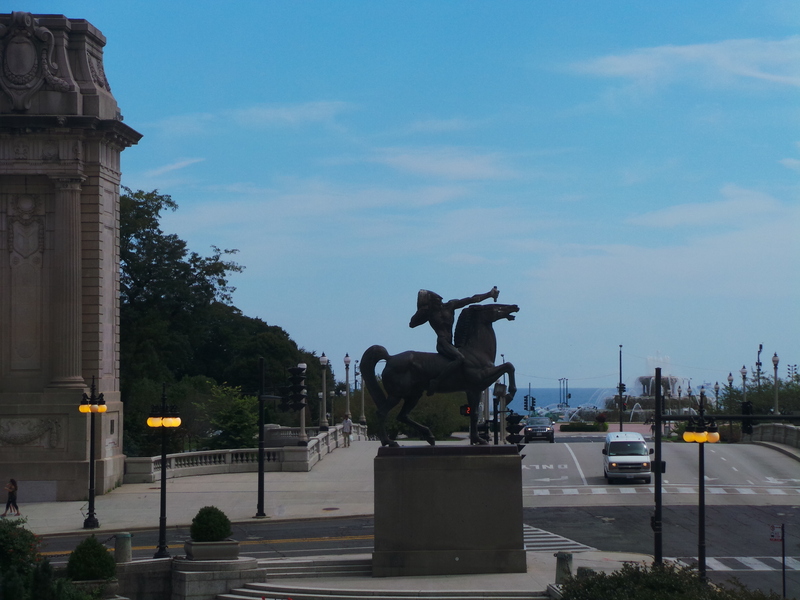 If you happen to be wandering in the Congress Plaza, you will see this powerful male figure on horseback providing an idealised portrayal of Indian Americans and we got to see this on our way to the Buckingham Fountain. The artist Ivan Mestrovic who was a Croatian sculptor had built the equestrian Indians to commemorate the tribes that once roamed the Illinois prairies. 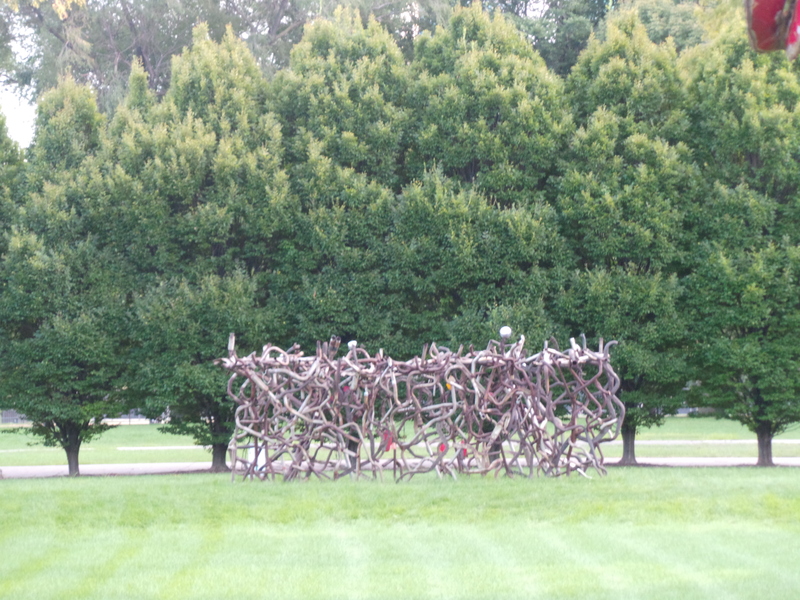 In 2006, AllState Insurance Company sponsored the Artists and Automobiles exhibit and provided old car parts that the sculptors used to create the artworks. 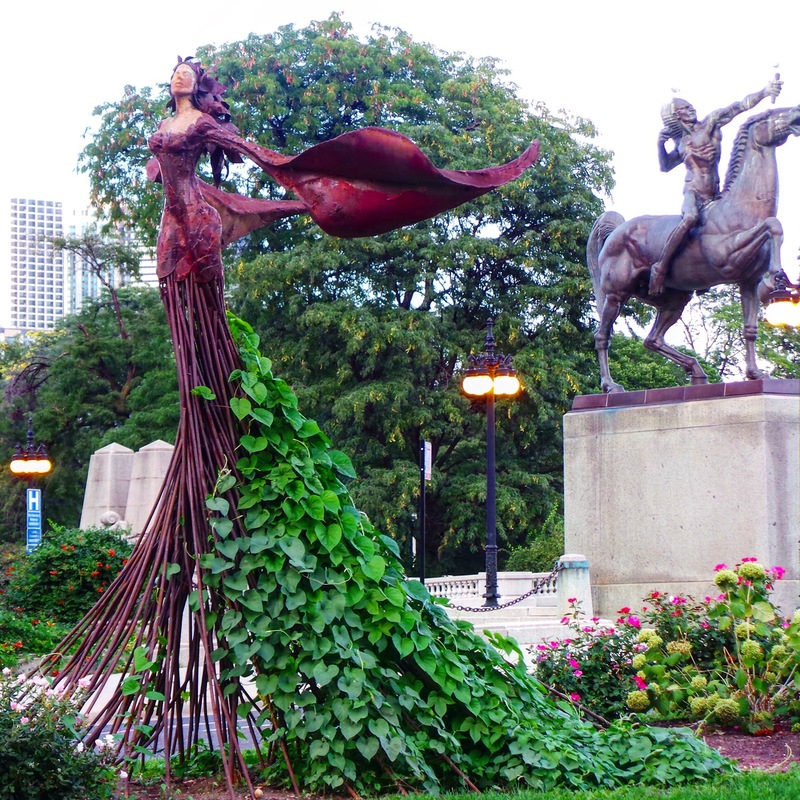 Only three works of sculptor artists remained in Grant Park. 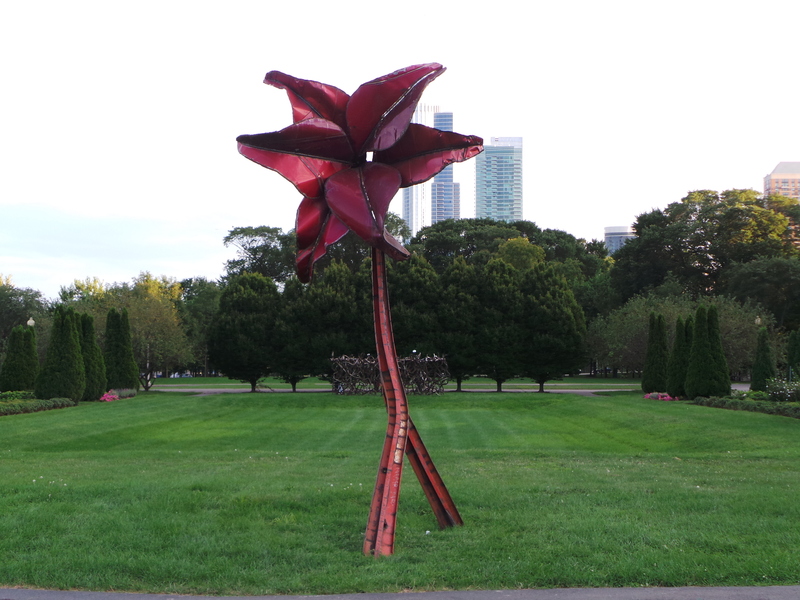 The enormous red lilies by Dessa Kirk which are made of doors, hoods, trunks and roofs from several Cadillacs. Lucy Slivinski’s Hedgerow is a garden feature composed of entwined mufflers, tailpipes, and headlights. 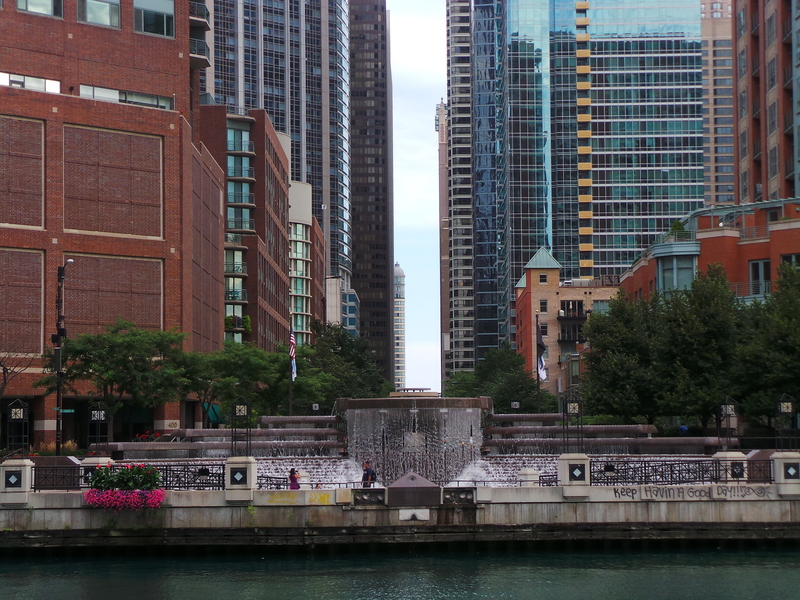 This work of art is not located near the Buckingham Fountain but I’ll just add it up here since I was roaming the Federal Plaza alone just to see this sculpture. It is the Flamingo created by Alexander Calder. It is composed of steel and is vermilion in color. 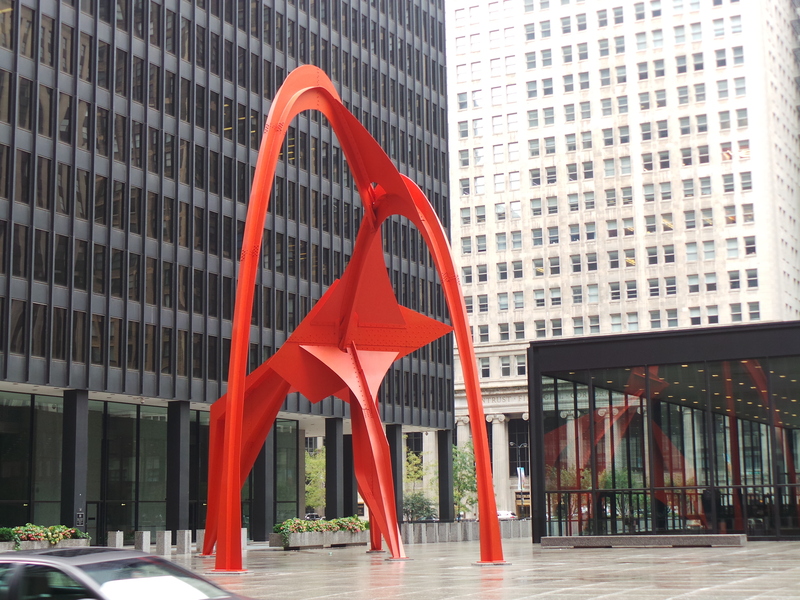 Calder gave the stabile its color as ‘calder red’ to offset it from the black and steel surroundings of nearby office buildings. 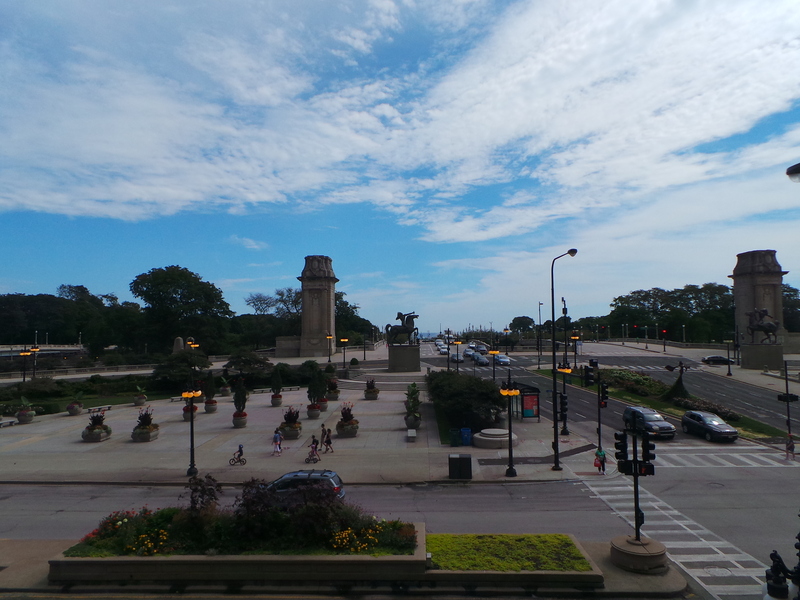 We got to see a lot of artworks on our way to the fountain and after about 30 mins, we got to Buckingham Fountain. 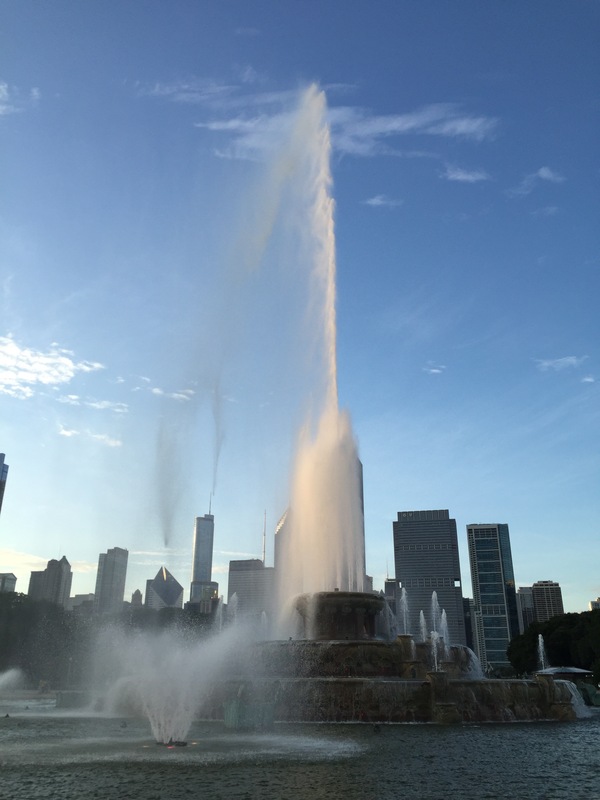 It is a Chicago landmark in the center of Grant Park. 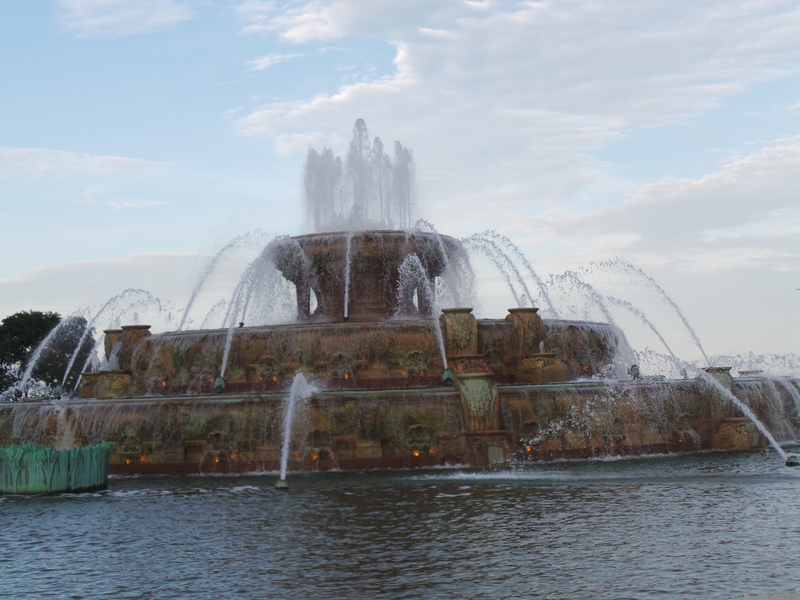 It is one of the largest fountains in the world and was built in a rococo wedding cake style. 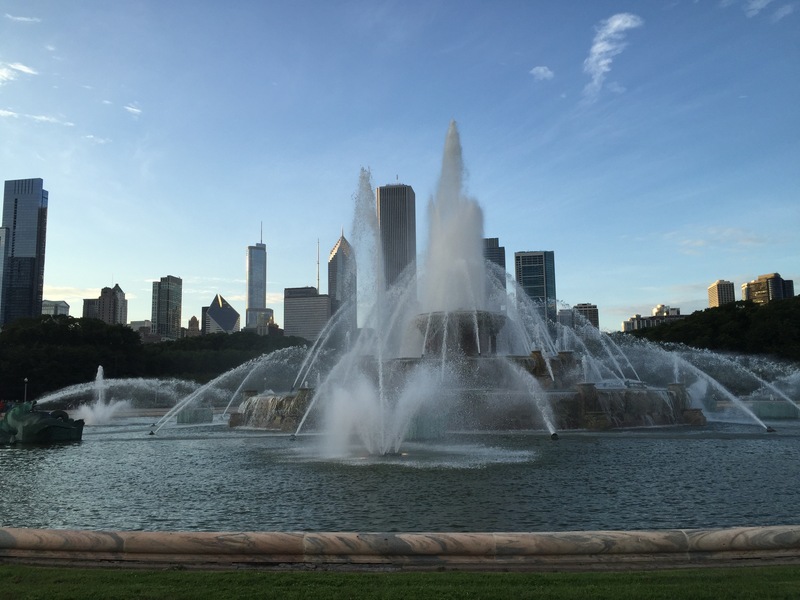 Buckingham Fountain also has water and light shows and has visited frequently by tourists and locals alike. 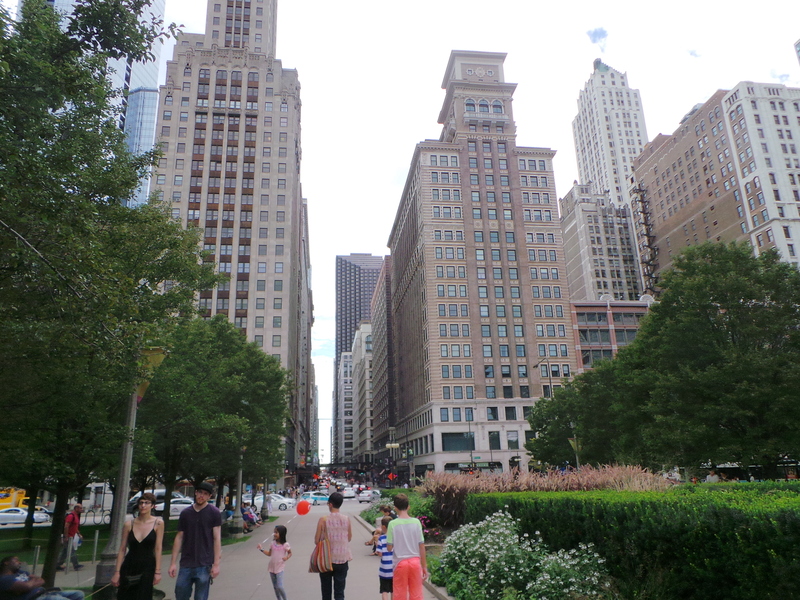 Just a street away is the Chicago Lakefront Trail. The trail is considered a foreshoreway for walking and cycling along the coast of Lake Michigan. 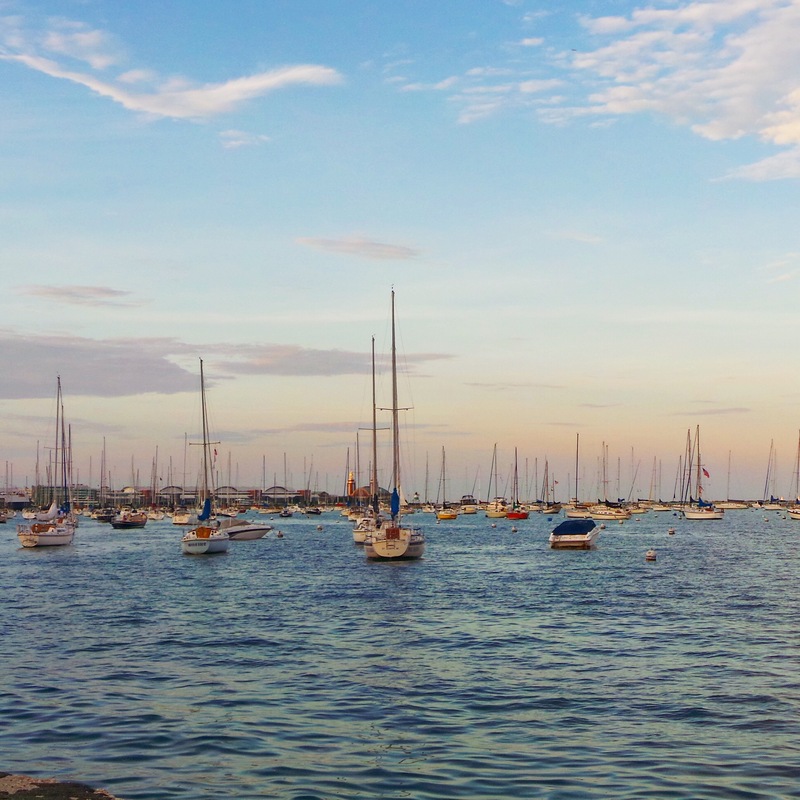 The trail connects various beaches and recreational amenities located along the lakefront and also serves as a route for bicycle commuters. 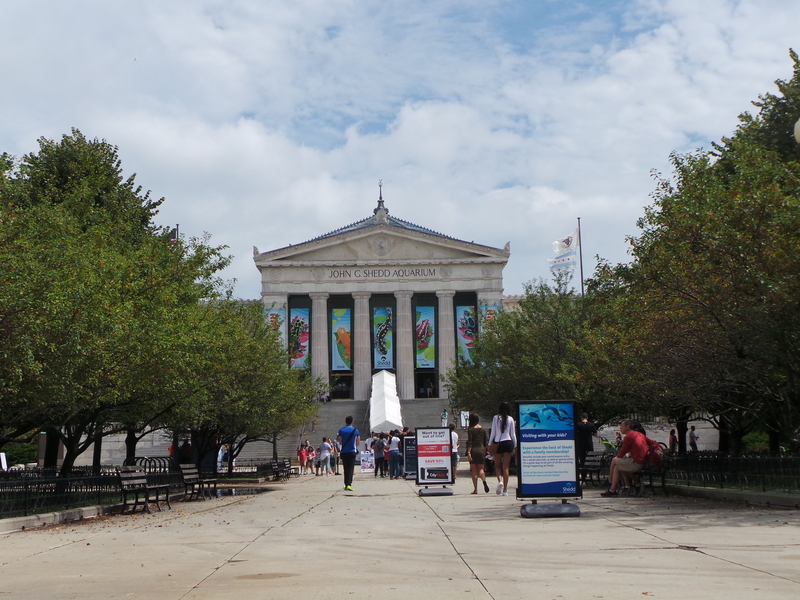 There are also attractions along the path such as the Museum of Science and Industry, Monroe Harbor, Belmont Harbor, Soldier Field, John Shedd Aquarium and more. After seeing the aquarium, my newly met friends and I have decided to separate trails since I have other friends to meet. 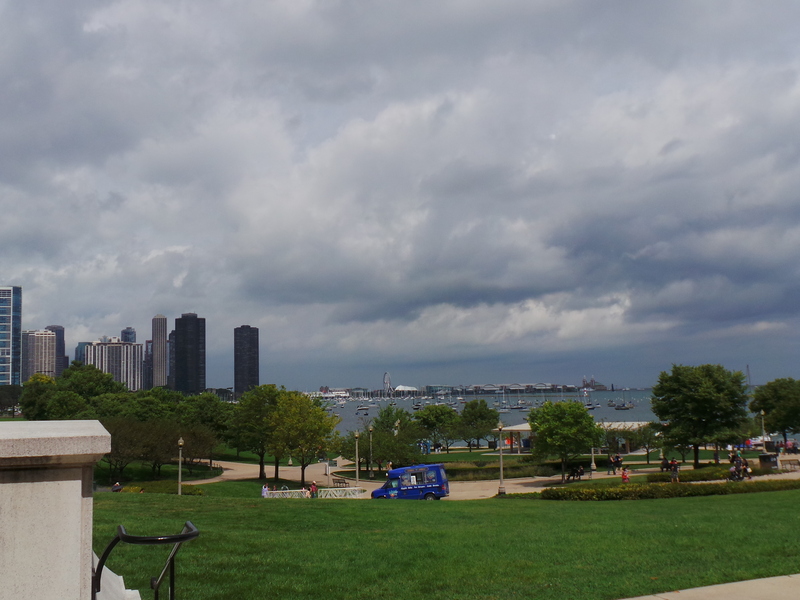 My batch-mate who works in Chicago has decided Navy Pier as our rendezvous point. 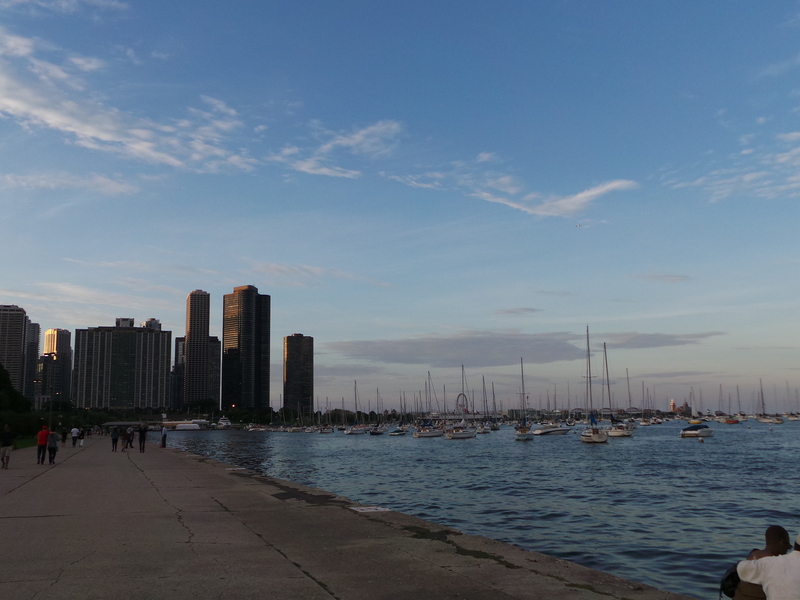 It was a decent walk/ exercise from the lakefront trail all the way to Navy Pier. The walk took about almost an hour but it was worth it since I haven’t seen this school friend for almost 10 years after we graduated from our university. 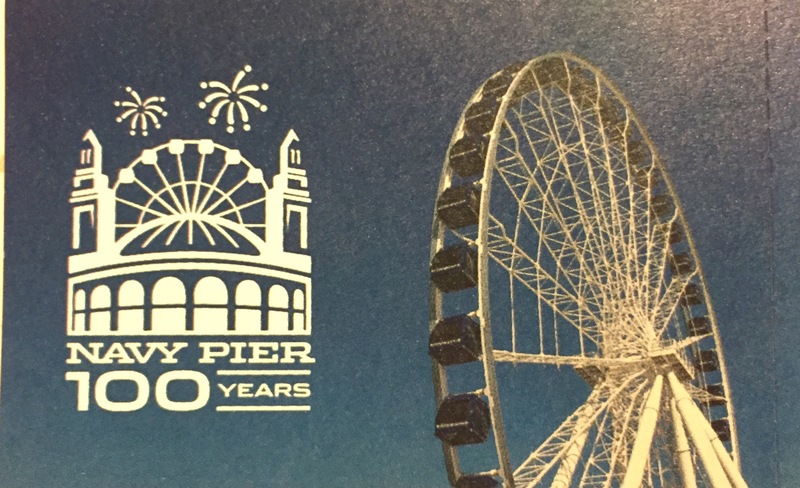 We dined in at Margaritaville Restaurant in Navy Pier, reminiscing about our school years and we have also decided to ride the Centennial Wheel which I paid US$15 just to see the Chicago skyline at night. We spent almost 3 hours just having fun and it was almost 2200H that we called it a night. 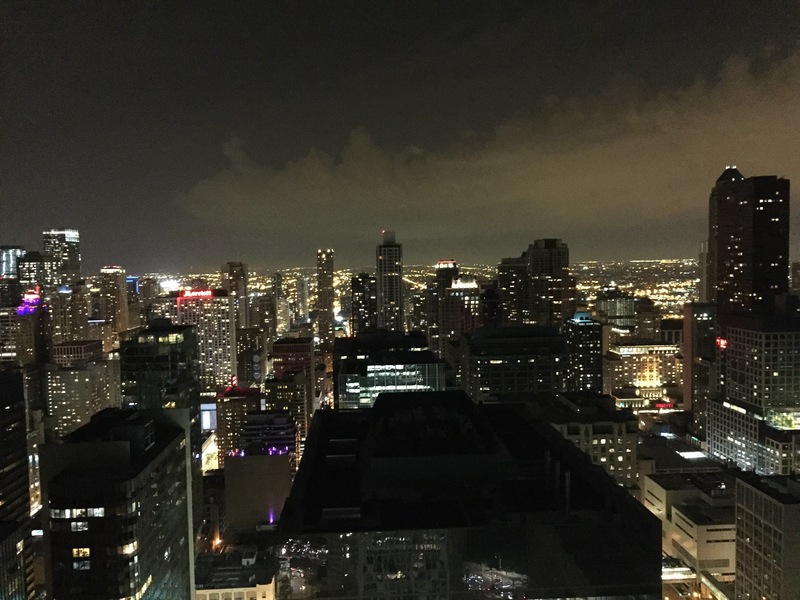 Since my friend lives near the Navy Pier, she showed me where she was staying and got the clear view of Chicago skyline. It was perfect. She lives in an apartment where I dream of living in the future and I have thought of looking for a possibility of moving there once I’m done serving my contract in Ohio. The next few days, I had my self-guided tours thru the help of Booking.com travel guides. 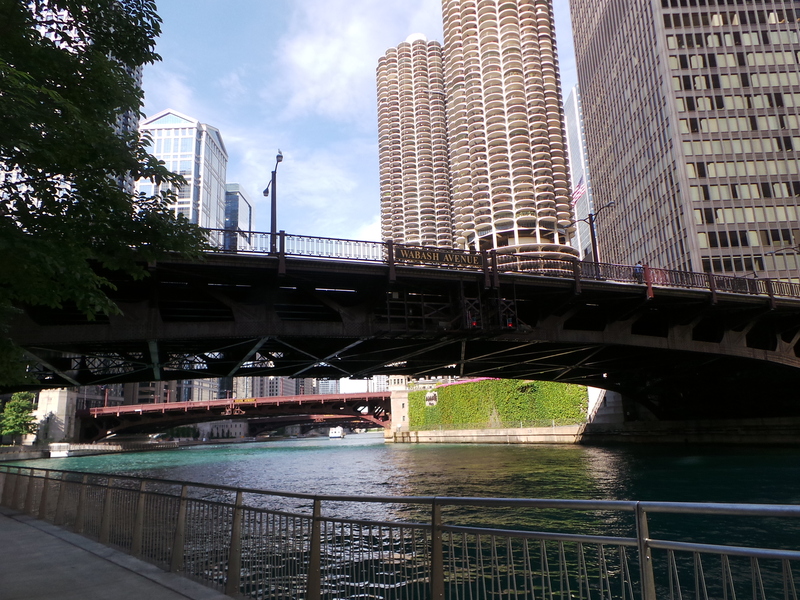 I have decided to do some shopping in famous Fashion street in Chicago and also tried the Chicago Riverwalk. 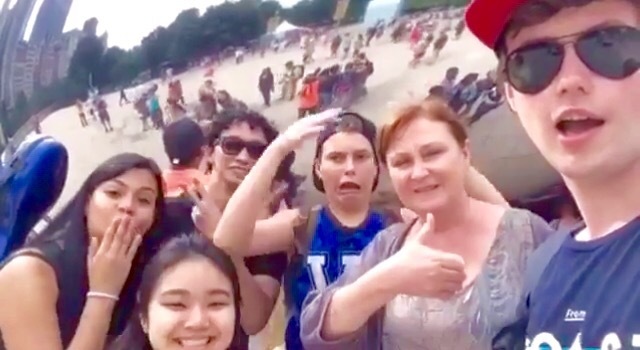 My whole Chicago trip was a blast. 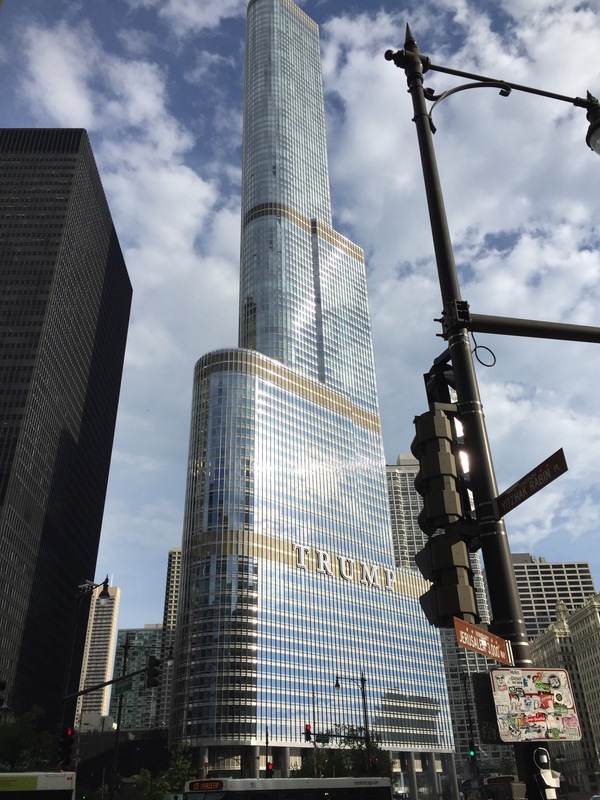 It may be named as a Windy City but it was not windy after all. 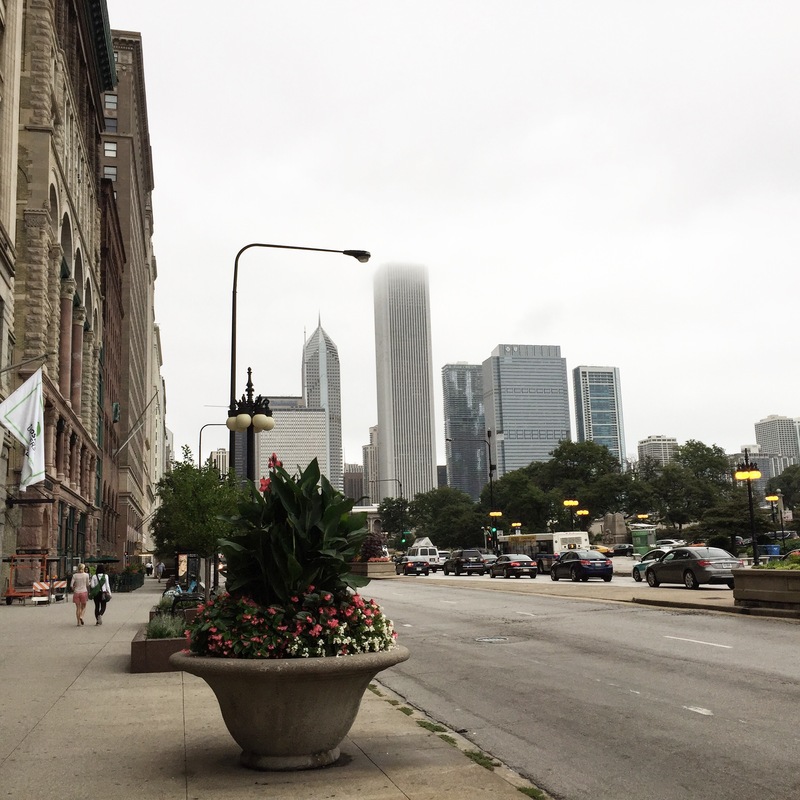 Chicago welcomed me warmly and I got to meet a lot of really nice people. 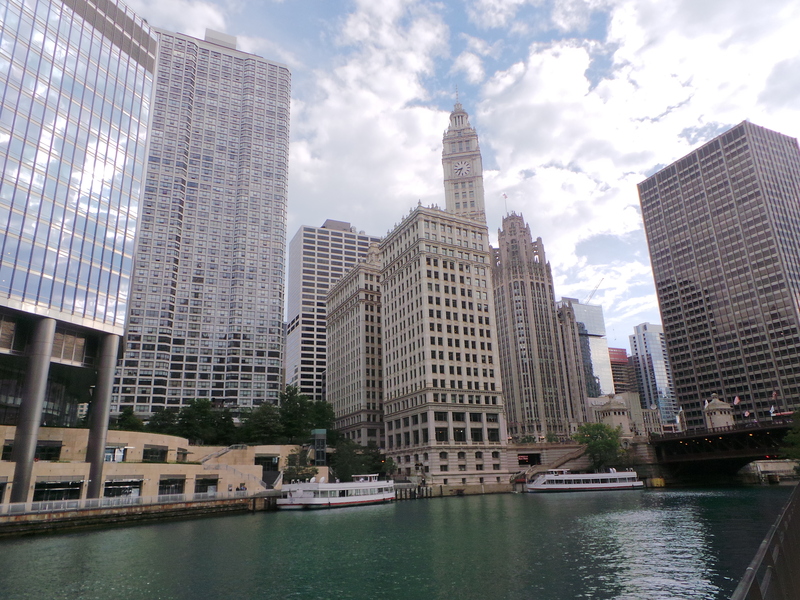 Check my YouTube channel and my vlog about Chicago’s Not So Windy After All.